Review Pages allow you to share certain content from your project to external users for review. When you add a Collaborator to a project they have access to all non-private files and folders on that project. 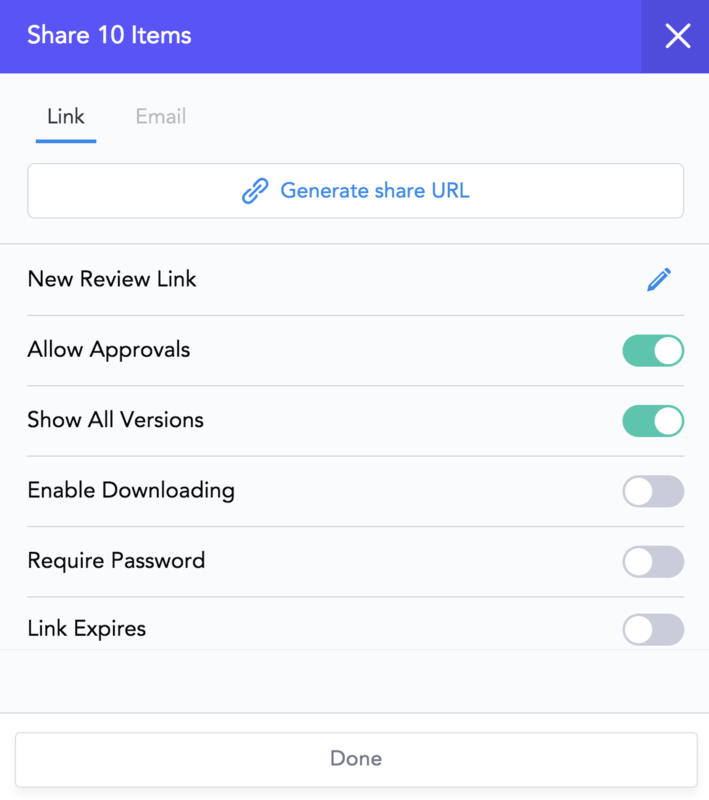 Sharing files as Review Pages gives you more control over what the external user has access to as they only have access to the file(s) you have shared with them. Sharing files as Review Pages allows external users to leave comments without needing to create Frame.io accounts. When you invite a user as a Collaborator they are required to create a Frame.io account. Collaborators are users who have access to the projects you invite them to. They have the ability to upload files, create folders and stack versions. They also have access to receive project notifications such as when a new comment is made or when someone else on the project has uploaded new media.